The Triskel is the sign of the three phases of the Goddess; maiden, mother, crone. 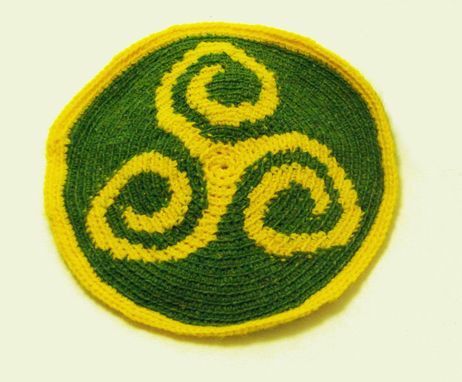 Slip this patch into your mother's day card to show her that she's your favorite of the phases and faces of the triple goddess. This patch would be especially appropriate if your mother is an Oregon Ducks fan! No new materials were used to make this patch. I crocheted it out of upcycled brilliant yellow and spring green acrylic thread. Sustainability at its most mystic. Measures approximately 5" in diameter.